A taxi from the airport costs about £25-30, with a journey time of about 30 mins. A taxi from city centre costs about £15, with a journey time of about 20 mins. You can take the Airport bus (alight at Waverley Bridge) or Tram (alight at Princes St) and connect to a local bus. A Lothian Bus from city centre to campus costs £1.70 single (exact change only). See the Lothian Buses website for bus route information. 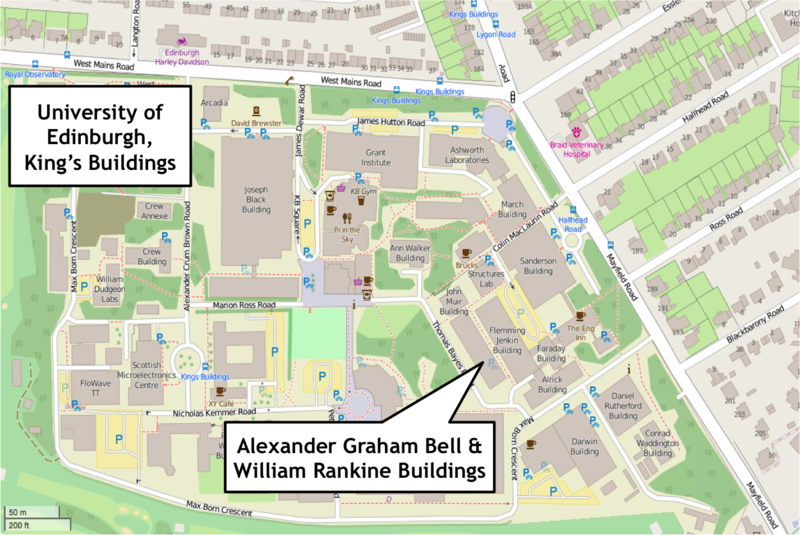 You can find our offices on the 3rd floor of the Alexander Graham Bell building and William Rankine Building, on the University's King's Buildings Campus (Access via gate 4 from Mayfield Road). Our labs are in the John Muir Building, which is next door. 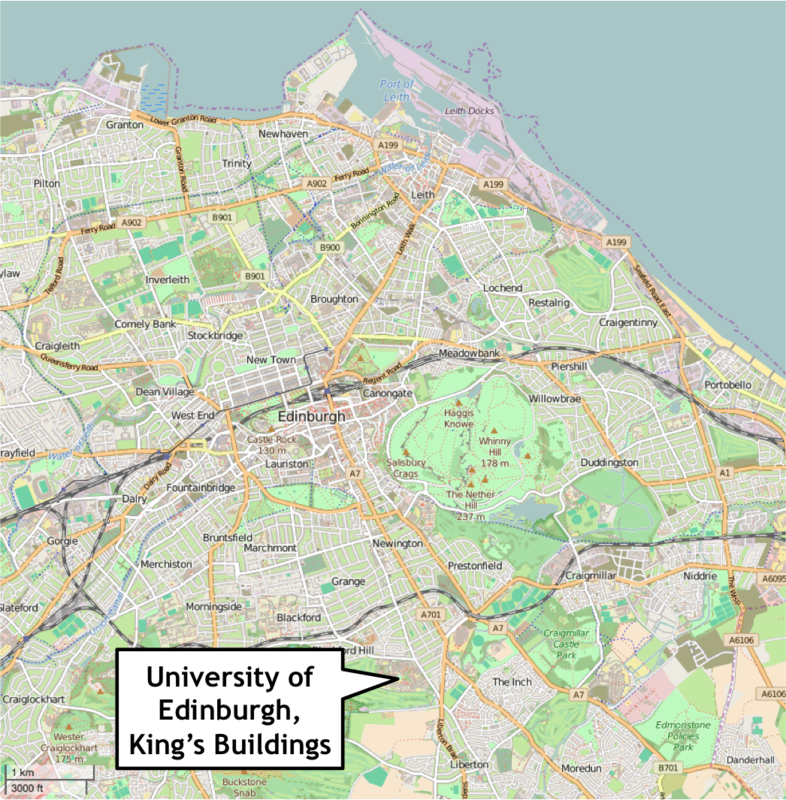 Postal address: Alexander Graham Bell Building, Thomas Bayes Road, Edinburgh, EH9 3FG. Parking is available on Campus directly outside the William Rankine and Alexander Graham Bell buildings. A visitor parking permit is required. Please contact your host to obtain a permit. On-street parking is also available off-campus on Hallhead Road, Ross Road, and other nearby streets.